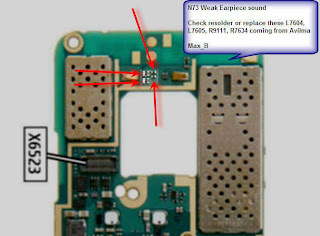 Earpiece speaker problem on Nokia N73 can be caused by several reasons, for example broken line on audio circuit, damaged the audio processor IC, damaged speaker, etc. But, all the earpiece speaker problem on Nokia N73 which I ever found caused by hardware failure. 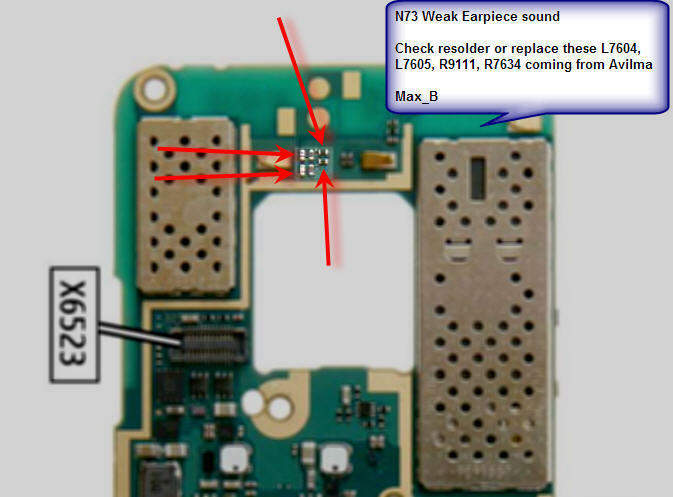 Here, mobile repair guide provide some pictures relating to Nokia N73 earpiece speaker problem, download the picture for your references.